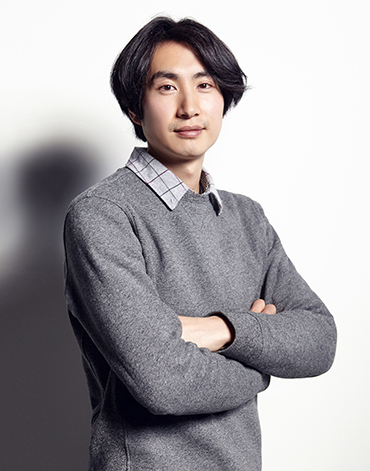 Dealing with the current day’s addiction to social media, Socialphobia is the debut film of director HONG Seok-jae, the 7th graduate of the Korean Academy of Film Arts. Based on a real case, HONG drew a realistic portrayal of the young generation who are overwhelmed by the internet culture. After its screening at the Busan International Film Festival (BIFF) last year and raising much buzz, the film recently won the audience award at the Florence Korea Film Festival. How did the audiences receive the film after its release in theaters compared to the screening at last year’s Busan International Film Festival? When I met with the audiences during BIFF, I wasn’t sure about my film. After the first screening at a Q&A, one audience said that they’ve experienced something similar to what the characters felt in Socialphobia. To find out that what I’ve intended were passed on to the audiences made me feel at ease. I was really nervous about the theatrical release as well, but I wasn’t as nervous as when I first screened the film. You’ve also screened your film to international audiences at the Switzerland's Black Movie Film Festival Geneva. What were some of the responses like? To the Swiss audiences, the story was quite foreign. “Does that really happen in Korea?” were some of the questions I repeatedly got asked. One day when I took the subway there, I realized that hardly anyone was looking at their phone. Such environments have influenced the responses. In Geneva, they’re also not accustomed to searching online in realtime. I would say Korea as a society is much more influenced by the social media. Congratulations on receiving the audience awards at the Florence Korea Film Festival and the Seoul Independent Film Festival. It seems like the audiences are interested in your film. I think it’s largely due to star power. Some audiences may feel BYUN Yo-han’s character, Ji-woong, a little unfamiliar in comparison to his recently famed role in TV series Misaeng. But his performance in Socialphobia was excellent. Also, the fans of LEE Ju-seung would also appreciate his performance in the film as well. I even noticed a fan who tried to take a photo of the scene where the two actors were shown. In Socialphobia, two young men who are preparing for the police exam get involved in the witch hunt online. Why did you create such characters? I needed to create characters that the audiences could relate to. If the characters long to become policemen, they would likely see to the end of the case to find the suspect. What was important is to have contrasting characteristics for BYUN and LEE. If BYUN is an actor who explode in energy all at once, LEE is someone who might be hard to read. I think these charming characteristics of theirs worked well with their roles. Is Socialphobia a film that reveals the problems of social media? Social media will continue to produce scapegoats. The lives of ordinary people are easily and rapidly spread online. Through this, we can see that the human race is hungry for attention. After making the film, I began to have a more negative perspective on the issue. How do you feel about completing your first feature film? I realized that what I intended in the beginning does not necessarily transfer to the film. (Laughs) One event will influence another and I’ve experienced how things organically change on set. After releasing in theaters, I finally feel like I’ve finished a film.